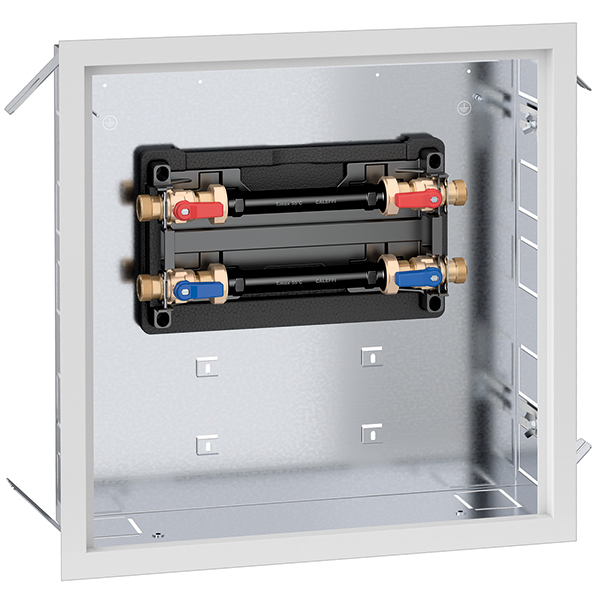 Recessed box with galvanised backplate and RAL 9010 painted door for interior use; fitted with finishing frame adjustable in depth from 130 to 160 mm. For use in vertical and horizontal installations. - 2 pairs of 3/4" M ball valves. - 2 flushing pipes for initial washing of the system. Tmax55°C. Fitted for positioning of domestic water functions codes 70005.